Surfside is an idyllic enclave on the north of the island of Miami Beach. It has some of the most pristine beaches in South Florida and has the feel of a small town with numerous shops and boutiques lining the streets. It is in between North Miami Beach and the tony Bal Harbour Village, which houses some of the most elite shopping in South Florida. Gucci, Saks Fifth Avenue, and many more luxury retailers have shops in Bal Harbour and the dining is five star. The area is also conveniently located to downtown Miami and the area airports. 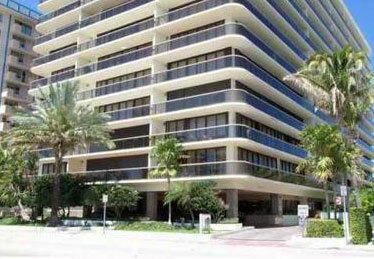 The Waves Condominium is located at 9455 Collins Avenue and was built in 1991. The residences are spacious with large floorplans and incredible views of the Atlantic Ocean and waterways surrounding Surfside. It has 12 stories and all the amenities requisite of luxury oceanfront living. Some of the amenities include a state of the art fitness center, swimming pool, 24 hour security, and high speed elevator. There are a total of 109 residences with either two bedroom or three bedroom options and each has central cooling and heat. Residents will enjoy a high standard of living and the epitome of relaxation in this tranquil ocean front paradise.